Walking time has arrived. 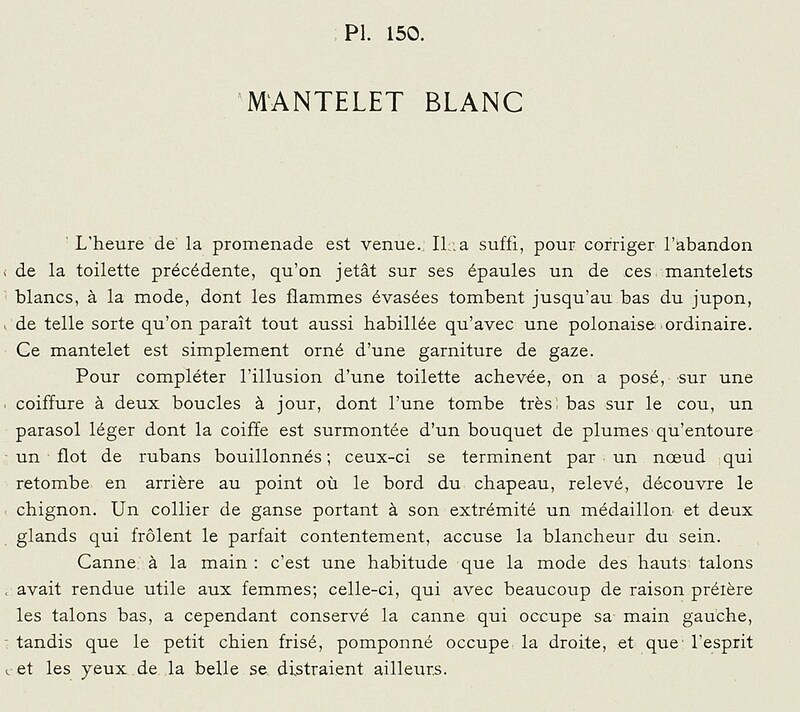 It sufficed, to correct the abandon of the preceding toilette, to throw one of these fashionable white mantelets, whose flared points fall almost to the bottom of the petticoat, over the shoulders, such that one seems as dressed as in an ordinary polonaise. 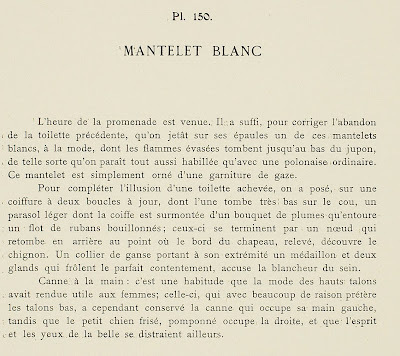 * This mantelet is simply decorated with a gauze trim. 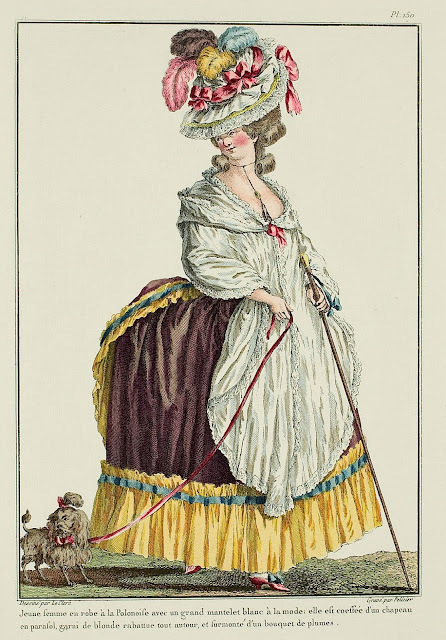 To complete the illusion of a full toilette, on a coiffure of two fashionable curls, one of which is falling very low on the neck, a light parasol [hat] is posed which is surmounted by a bouquet of plumes that surround a flood of bouillonné ribbons; those end in bows which fall behind at the point or edge of the hat, pulled up, uncovering the chignon. A cord necklace holding a medallion and two tassels at the end, which brush the parfait contentement, impeach the whiteness of the chest. Cane in the hand: it is a custom that the fashion of high heels has rendered useful to women; this woman, who with good reason prefers low heels, has however retained the cane which rests in her left hand, while the little curly-haired dog, gussied up, occupies the right, and that also distracts the mind and the eyes of the beauty. * So this is a demi-polonaise.